Also, at $40, that's one hell of a pricey dual-port charger, and only one of those ports is 2.1A, the other is rated at 1A. There's no quick charge support on the 2.1A port, either, so the most you're probably going to get out of this thing is 6-8W. 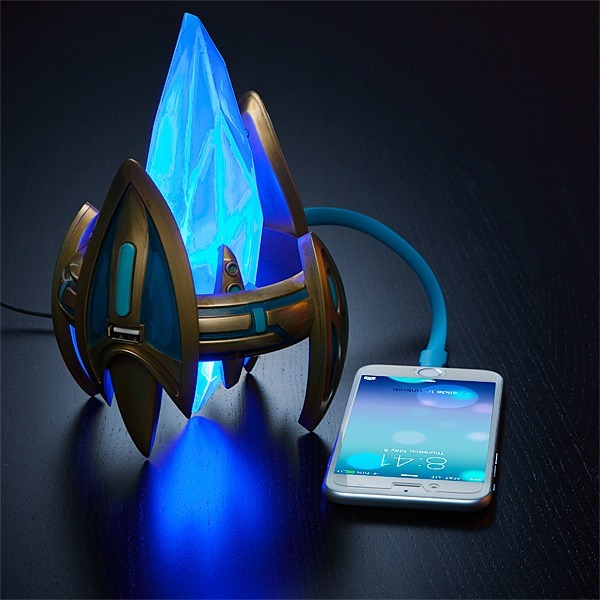 But if you wanted a nifty novelty desk charger and/or night light (the pylon has an on/off switch), this thing is pretty sweet. Shipping is limited to a select list of countries on ThinkGeek's product page, so check it out for more info.